"...if we want to see things changed, it starts with prayer"
Prayer lies at the heart of our relationship with God. Jesus made time each day in his life and ministry to meet with his heavenly Father, showing us that we too can do the same coming as we are with our concerns knowing that we will be heard. Yet prayer is more than coming with a list of requests, it is also about a time and place of just being with our heavenly Father to know ourselves simply love as his beloved child. The God revealed to us by Jesus promises to hear us and to respond when we pray. We can pray just to be in touch with him, to make sure that we are listening for his presence in our lives and the lives of others. It's not about special words, just being ourselves before the Lord God who gazes upon us with love. So whatever there is in our lives we can just say it as it is and ask him to help. There is a brilliant site called rejesus which has excellent resources for personal prayer, including this page where you can post a prayer online. To use the Bible to help you pray, you could start with the Psalms, conversations between the writer and God about the whole of human experience, including difficult times. 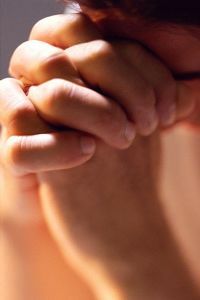 For written prayer, the Church of England website has prayers for a range of situations. There is a time of prayer somewhere in The Six each weekday. Times and locations can be found here. If you would like to pray with someone about any issue concerning you, please contact any one of the clergy team, who would be delighted to help.